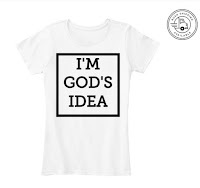 I came across this "idea" online the other day and not only did I decide to write about it but I had a strong inclination to wear it. 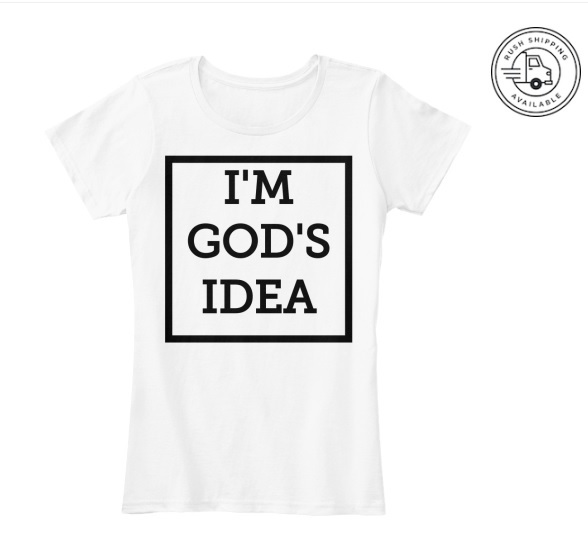 We are God's idea and we don't hear it enough. I don't think we affirm ourselves with this enough. Say it loud. Say it three times if you have to. 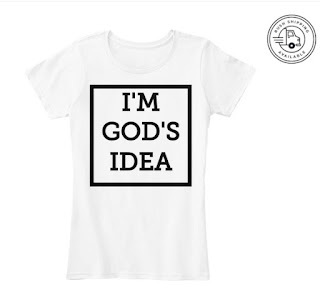 "I'm God's Idea." It's Amazing and poignant because it's true. At the time they stood out because I thought to myself it was such a powerful way to say that everything we go through, the life of Jesus Christ served as a precursor and example that we could look upon and gain strength from. God has amazing ideas, to be one of them is a powerful thing! Tell yourself this daily. and purchase the shirt for your self, family and friends to be reminded.